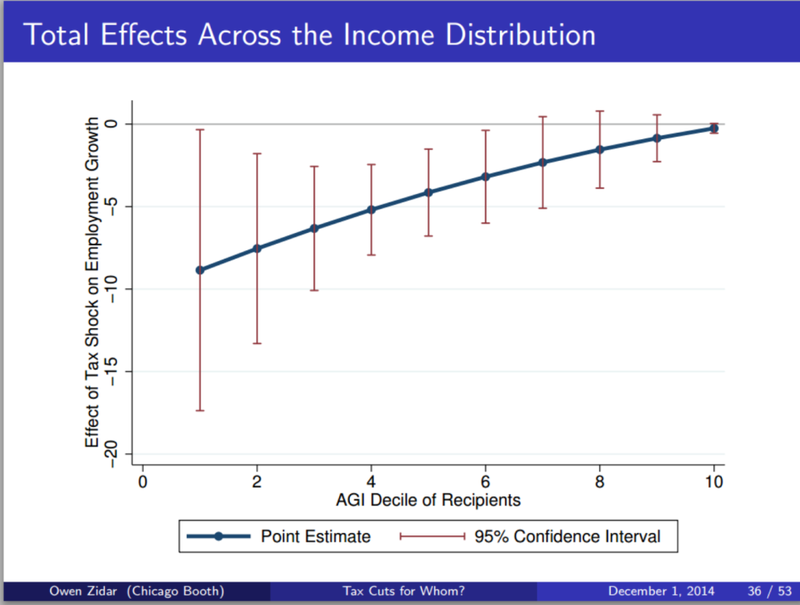 The paper's main innovation is to overcome the scarcity of time series data by exploiting US data on state-level income distributions, to view each state-year response to a national tax policy change as a separate observation. 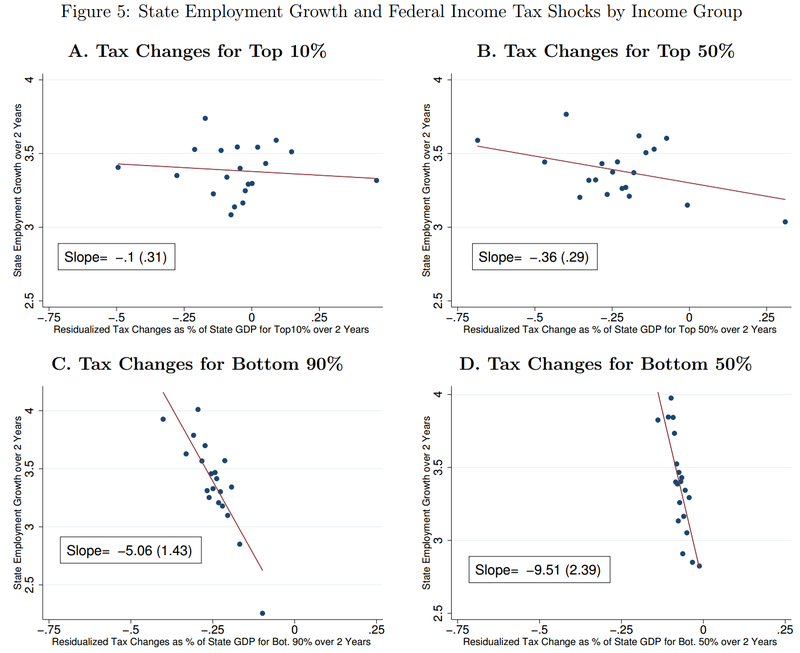 "Overall, tax cuts for the bottom 90% tend to result in more output, employment, consumption and investment growth than equivalently sized cuts for the top 10% over a business cycle frequency." One fairly clear implication of the findings is: the opposite seems to be the case. It seems obvious doesn’t it? Is giving more money to those who have money going to increase their consumption in the real economy? No – although you could say they may want to invest that additional money in say, assets. And who deals with assets and the selling and investment of? The City of London of course. And who encourages the Government to give tax cuts to the rich? The City of London of course. Talk about feathering your own nest whilst you support benefit cuts for the poor. Cutting taxes for the 90% would be akin to pay rise of sorts. But all it will do is cut back financial support for the services that they are likely to want etc. I wonder if ‘gorgeous George’ has seen this?